The Links at Kahite and Clubhouse, opened in the fall of 2002, and is a links course with unusual design characteristics. 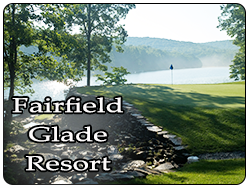 Kahite has scenic views of Tellico Lake and the foothills of the Great Smoky Mountains. It features the Village’s newest driving range facility and practice putting green. 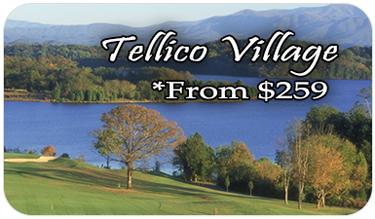 Tellico Village's Kahite Golf Course features scenic views of the Smokies, a unique layout including an unusual par six 808-yard ninth hole, and more than 90 sand bunkers throughout the course. Located in a golf resort setting, Kahite is one of the top courses in the state with full range of amenities and a fantastic golf course. The course's elevated greens represent a challenge, with several multi-tiered greens and slopes that require consistent putting. A couple of the par threes are challenging due to their length. 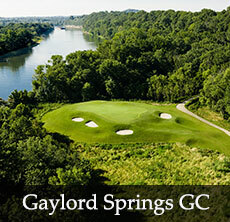 Expect great conditions, a friendly staff, and a memorable round of golf that will leave you wanting to come back every year.